Even though the estimates are all over the place we an make some predictions based on performance of past models. There are three things that mainly determine hash rates. Core Count, Clock Speed, and Memory Speed. Different Algos require different things. Coins like Ethereum are Memory instensive, meaning that Memory Speed makes the biggest difference in its performance. Hence the reason a GTX 1070 hashes almost as fast as a GTX 1080 Ti. But most other coins depend more on Core Count, and Clock Speed. For the purpose of this discussion we are going to focus on the later, since Ethereum has become a saturated coin with little to no profits for miners. Clock Speed 1708 Mhz 1733 Mhz 1582 Mhz ?? ?? We are not including any improvements due to the GDDR6 Memory, or Clock speeds and or overclocks. This also ignores energy expelled when mining. The above figures are also on the low side, as recent Software miners have been known to be up to 30% faster than the numbers above. Example The miner I use gets a consistent 20 Mh/s on X16R running on a GTX 1080 Ti. Considering that memory speed and latency has such a huge impact on hashing ETH, and we do not know the specs of the memory going into the new cards other than they are GDDR6, we have no way to calculate the speed increase. Even though we can make comparisons to cards like the Titan V ( 12GB HMB2 ) which does ETH at 79 Mh/s, that is HMB2, and not GDDR6. However if use Total bandwidth to make these calculcations with the 1080 Ti at 484 GB/s and the Titan V at 652 GB/s we start to get ratios that represent the increase in hash rate for ETH. The 2080 Ti with 384 bit GDDR6 has a theoretical speed of 864 GB/s which is 32% faster than HMB2, means we should be looking at ETH speeds around 104 Mh/s. But we have to take into account the Titan V has 5120 Cores vs the 4352 Cores of the 2080 Ti. Which is a 17 Increase. So lets take 17% off that hash rate to get us a card that should hash ETH at about 86 MH/s. If the 2080 Ti can hit 86 MH/s that is a 56% increase over the 1080 Ti, and a 177% in crease over the 1070 Ti. By those figures For Ethereum Mining the 2080 Ti might actually be a better value than buying a used 1080 Ti off ebay. 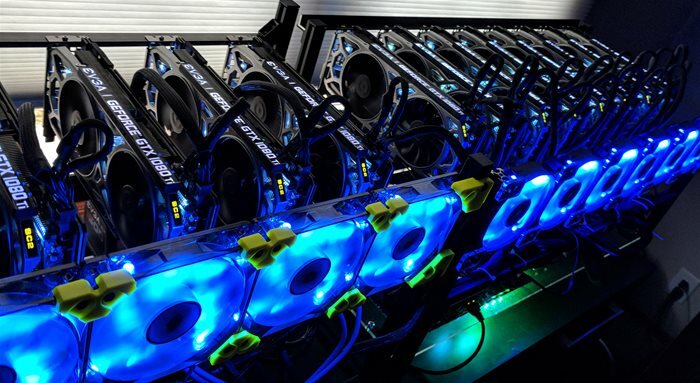 However as we all know the ASIC miners are likely to start taking over ETH coins, so buying a 2080 Ti for ETH mining would be risky. Its better to focus on other ALT coins. Is the 2080 Ti worth the money for mining? Probably not. Remember you can score used GTX 1080 Tis on ebay for about $550. While the RTX 2080 Ti will likely sell for about $750 when it hits shelves. That is a 33% price increase. Yet the estimated hash rates will likely only be about 20% increase over the previous generation. To be on equal ground with the previous generation Nvidia would have to price their RTZ 2080 Ti at $665, and that price has to include all taxes and fees, Remember almost nobody is paying tax for cards on Ebay.